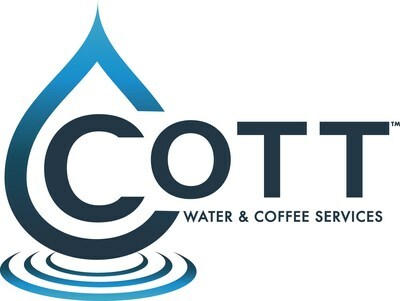 TORONTO, ON and TAMPA, FL, April 2, 2019 /CNW/ – Cott Corporation (NYSE:COT; TSX:BCB) ("Cott" or the "Company") announced today that the Company will release its first quarter ended March 30, 2019 financial results before the markets open on Thursday, May 2, 2019. A live audio webcast will be available through the Company’s website at www.cott.com. The webcast will be recorded and archived for playback on the investor relations section of the website for two weeks following the event. The Company announced today that its 2019 Annual Meeting of Shareowners will be held on Tuesday, April 30, 2019 at 8:30 a.m. (Toronto time) at the Toronto Airport Marriott hotel in Toronto, Ontario, Canada. At the meeting, shareowners will be asked to receive the financial statements for the year ended December 29, 2018 and the report on those statements by Cott’s independent registered certified public accounting firm, elect directors, approve the appointment of Cott’s independent registered certified public accounting firm, hold a non-binding advisory vote on executive compensation, and transact any other business that properly may be brought before the meeting and any adjournment of the meeting. The meeting will be webcast live from Toronto, ON, Canada on Tuesday, April 30, 2019, at 8:30 a.m. (local time in Toronto). The live audio webcast will be available through the Company’s website at www.cott.com. The webcast will be recorded and archived for playback on the investor relations section of the website for two weeks following the event.